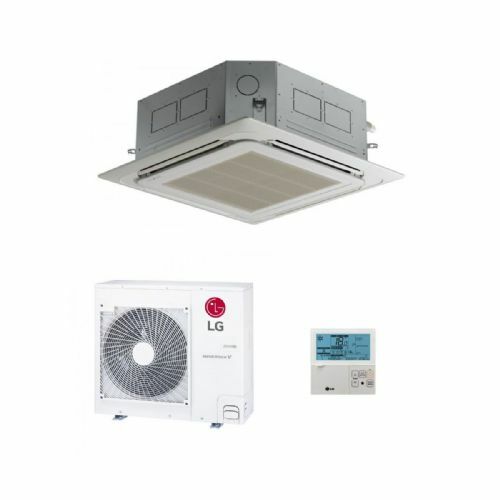 LG Inverter range of ceiling cassette air conditioning equipped with many special features. 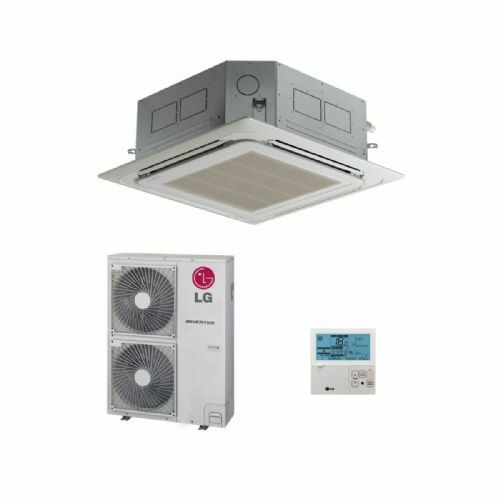 It has four louvers for the air circulation in all directions which maintain even cooling and heating. 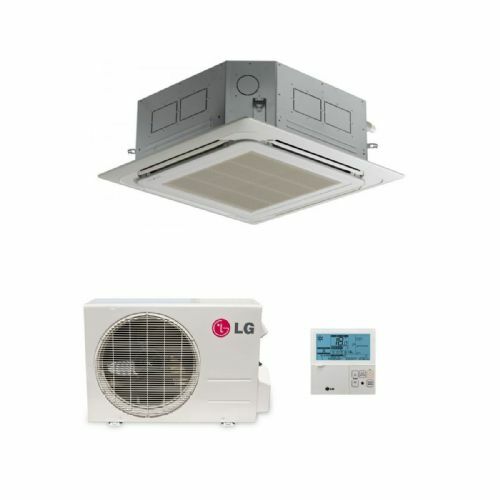 Depending on the height of the installation, LG air conditioners allow you to vary the speed of the indoor fan motor. When installation is low, the RPM can be reduced, but it can also be increased when the installation is high to ensure optimum comfort levels. The speed can be adjusted via the slide switch on the back of the LCD wired remote.